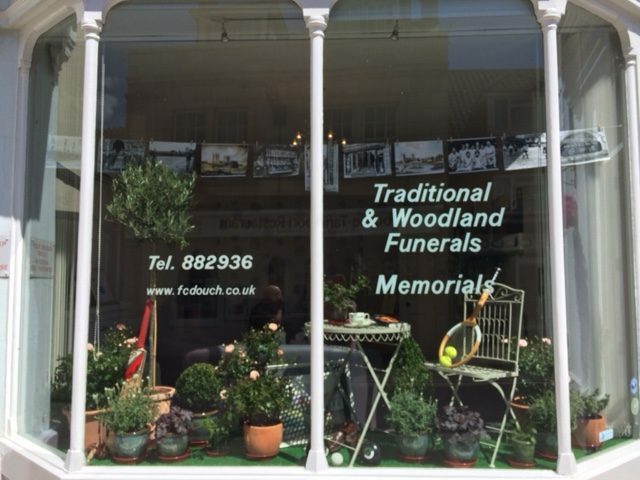 I was delighted to be approached by this client to design their entry for the Wimborne in Bloom competition, to interpret the theme ‘A Minster Town’. 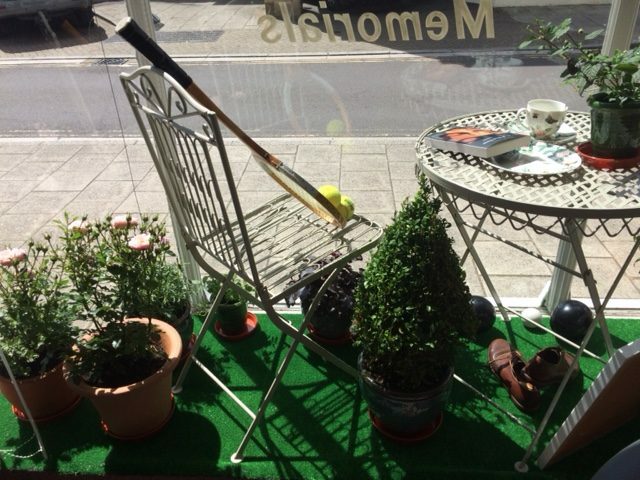 Douch & Small sponsor various sports clubs in the town, so I began by borrowing props from each, including the tennis, cricket, and lawn bowls clubs. 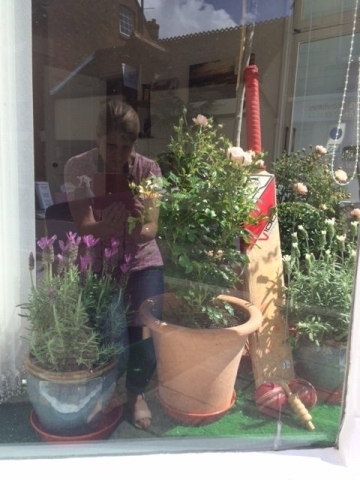 The planting gave me the most pause as it had to be representative of an English town garden, whilst also being robust enough to withstand a long summer in the shop window. I selected olive trees, purple and white lavenders, peach patio roses, box topiary, heucheras, hebes and herbs which would be able cope with the heat and exposure to the sun. 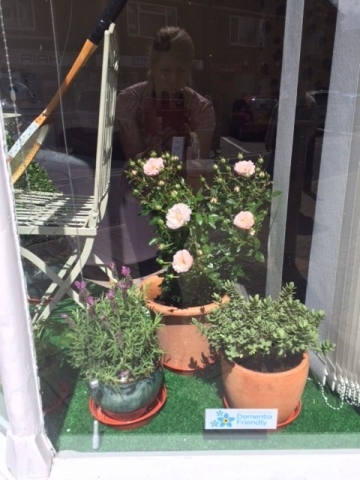 I also dressed the window with a patio table and chair, styled it with a pretty tea cup and saucer, and included a copy of Thomas Hardy’s book A Pair of Blue Eyes, which he wrote whilst living in Wimborne. 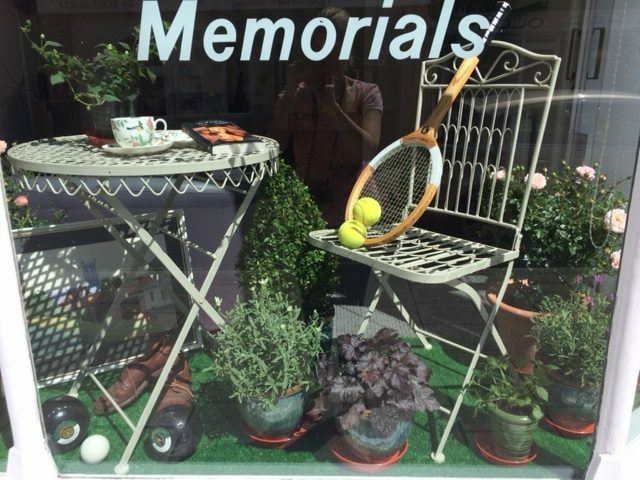 Finally, a tension wire was suspended across the window from which I hung a carefully curated collection of photographs which depicted the life and times of the Minster Town. I was thrilled when we received first prize in the competition! 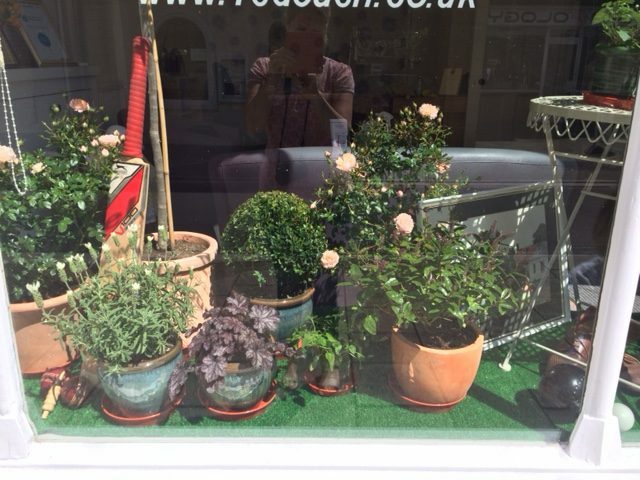 Following this success, Douch & Small recognised the value of employing a designer and I have subsequently dressed their window on a quarterly basis, providing them with a further opportunity to market their business regularly.